Opening time: August 17, 2009, 7 PM. Exhibited from August 18 through October 10. 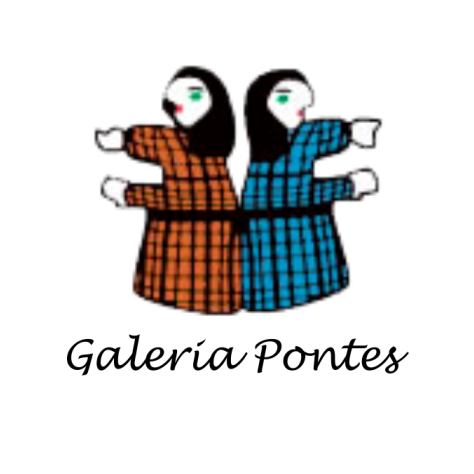 Just before completing its first anniversary, Galeria Pontes presented the exhibit “Inexact Mechanics”. Conceived and implemented by the young and competent curator Jacopo Crivelli Visconti, this exhibit counted on the participation of our own artists and those of other galleries. These works expressed the idea of movement contained in fantastic machines and contraptions, such as Zezinho’s windmill, Milton Marques’ works and Mestre Eudócio’s sculpture, resulting in a harmonious wedlock between popular and contemporary arts. As Jacopo says, there also exists a more emotional and less serious inexact mechanics that “remembers to study forces in movement only when strongly windblown”, or still a poetic mechanics that may “be charmed by festive colorful bicycles even though disconnected, taken apart and recycled, and for some unknown reason keep going”. Edna Matosinho de Pontes strongly reinforced the invitation to attend the show, based on the great pleasure of those who came and liked it. She was very happy with it, realizing that in such a short time the gallery moulds and defines with each new show its own profile in the São Paulo art market, always intent upon fulfilling its vocation of creating bridges of several natures. Dictionaries tell us that mechanics is the branch of physics dedicated to the study of forces implied in movement. We imagine it as a world made out of gears, pulleys, wheels and levers; a world that ignores waste and nonsense, a domain of millimetrically adjusted mechanisms, methodically and carefully regulated so as to be at the exact moment, at a certain pre-established location. There also exists, however, an emotional mechanics, more playful, less serious, always late. An absent-minded mechanics that remembers to study forces in movement only when it is grabbed by the blowing wind or when it transforms anonymous and unmoving images into a film that paradoxically fascinates, because it exhibits the very movement that gives it life. A mechanics that dares being poetic, being charmed by festive colored bicycles, that are nonetheless disconnected, dismantled and recycled, but who knows by what mystery, keep going. A perpetual mechanics, fascinated by the infinite movement of machines that start moving or sounding and never stop, because their movement is unmoving: it is the movement of dream and imagination, of fantastic creatures and inaudible sounds, that echo and wander about forever in memory. A mechanics, that, above all, is approximate and not rigorous: in short, an inexact mechanics. Exactly because it is such, with its edges frayed and out of focus, this mechanics becomes an excellent theme for an exhibition. Exactly because it allows you to talk about it metonymically, delving on something else, on something intangible that as such has nothing to do, at first sight, with mechanics. It invites you, otherwise, to talk about the need to repair the recent and unnecessary fracture that splits artistic practice into separate worlds that should be brought together and understood this way, a different way. Invites you to the conviction that the proximity of different works and ideas is healthy and desirable, for it is what moulds and defines the spirit of a nation, of a culture. To talk, in short, of the desire of a more frequent life sharing, of a continuous and fertile exchange of ideas that will ultimately make this other thing not so far from mechanics as it looks, since what it proposes and desires is that the force of ideas be constantly moving.